As a small business owner, especially for those just starting out, we know that it can be tough to find the capital needed to keep your business afloat. Whether you’re looking to boost inventory, fund a renovation or expansion, or invest in sales and marketing, a business loan can be your best bet at getting the financial resources you need. Getting started with the process of applying for a business loan is exciting as this is the first step towards future business growth. We also know that the loan application process can be complicated, tedious, and potentially filled with roadblocks. That’s why we’re here. The team at LendingArch is here to guide you on business loans and how they will affect your credit score. Before we jump into business loans, let’s talk about credit scores and why they matter. We know that you’ve probably heard the phrase, “don’t mix business with pleasure”, but unfortunately, most lenders break this rule by looking at your personal credit score when approving you for a business loan. Why? Your credit score and personal financial history will give insight and an accurate picture of how responsible you are with money. Your personal credit score will also tell lenders how dependable you will be as a borrower. This is especially true if you are a newer business owner. With no business credit to your name, the only creditworthiness that a lender can look at is your personal situation. What Are The Different Loan Types & How Do They Affect Your Personal Credit Score? 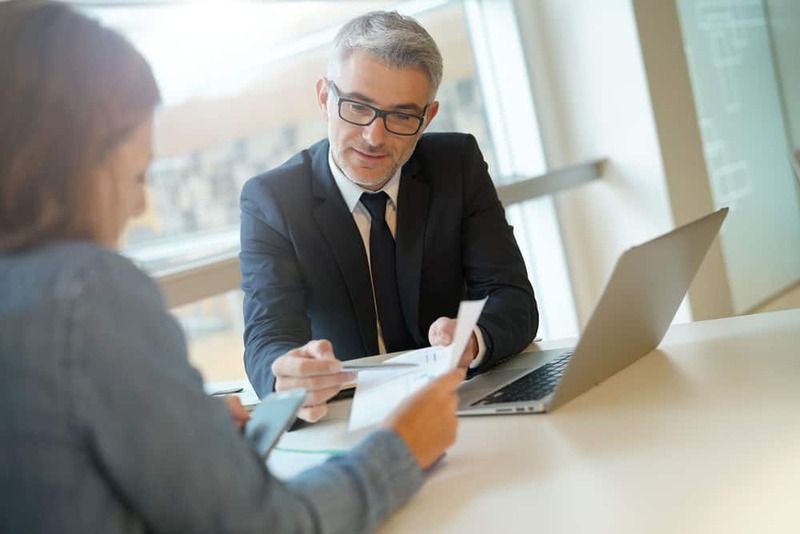 Small Business Loans (SBA): One of the more popular business loans that owners apply for, SBA loans provide lower interest rates and a long repayment plan. These are difficult to receive approval for as your personal credit score usually needs to be at least 680. Term Loans: Similar requirements to an SBA loan, a term loan will give you a lump sum of money that needs to be paid back over a set period of time at a fixed interest rate. Short-Term Loans: A viable option for those with a lower-than-average credit score with a healthy business, a short-term business loan usually involves a shorter repayment period and higher interest rates. Accounts Receivable Financing: Perfect for those business owners who are waiting on unpaid invoice(s) before they can pay upcoming expenses, accounts receivable financing (or invoice financing) places more emphasis on the invoices as collateral instead of your business. How do Credit Checks Affect a Credit Score? While you now know that personal credit scores will affect your ability to get business financing, did you know that when applying for a business loan, your credit score can take a hit? This “hit” will affect your chances of getting the best rates. With a no credit check, you can expect this type of credit inquiry with those lenders who look at other factors than a credit score. This means that your personal credit score won’t take a negative hit. A soft credit inquiry will occur during the pre-approval process, and will have no impact on your credit score. A hard credit inquiry is the last type of credit inquiry and occurs right before the final approval of a business loan. This inquiry will impact your credit score by 1-5 points per inquiry. The only time your credit score will be affected with your business loan is when the lender runs a hard credit inquiry. We mentioned above that this type of inquiry can hurt your score by 1 to 5 points. The exact ramifications will depend upon your credit health when the check is done, the size of your loan, and the type of loan you’re applying for. While this 1 to 5 point decrease might not seem like a huge dent, each inquiry will quickly add up. Plus, hard credit inquiries will stay on your credit report for up to 2 years, and can be seen by other entities that need to check your credit. Even though this dent can show up for years, oftentimes the negative impact will wear off in just one years time. If you’re curious as to what type of credit check a lender will run, you can ask them and they will be able to tell you. Business Loan Tip: applying for too many loans in a short period of time means your credit score will take too many hits thus replacing those desirable loans for those with higher interest rates and less than favourable loan terms. It’s recommended to keep loan applications to 2-3 per business loan. Another great option is to utilize our platform as this will allow you to get many loan options without racking up too many hits. Do All Lenders View Credit Scores the Same? No, luckily each lender will view your credit score differently. There are actually many financing options and lenders who cater to those with poor or no credit. Usually it’s easier to obtain a desirable business loan (lower interest rate and longer repayment term) if you have a higher credit score; however, your credit score is just one factor that lenders take into consideration when reviewing a loan application. Other factors that are considered include the number of years you’ve been in business, profitability, and the overall financial health of your business. To find the best lender that will suit your needs, you can perform research, ask for referrals, check their Better Business Bureau score, and even talk to one of their customer service representatives. While it’s definitely not impossible to get approved for a reasonable business loan with little to no credit, if you are seeking a loan with a longer repayment term and low fees and interest rates, improving your personal credit score can help to increase your chances of getting approved. There could be a variety of factors that are negatively affecting your credit score. One such factor could be an error in your credit report. Running a free report through Equifax or another one of the major credit bureaus in Canada can allow you to see all errors and rectify it. If for some reason your credit score is low due to identity theft, writing a detailed letter of clarification to lenders you’re getting a business loan from will help to make the process go much smoother. Whatever your financial history and situation may be, being as forthcoming and open with details is better and will help to create a good case in your favour. How Can LendingArch Help You? LendingArch is one of Canada’s best known , and trusted online lending marketplace . Having loan requests worth over $275 million, we are Canada’s go-to place where you can find the right online loan and lender to meet your needs. Specializing in helping Canadians to obtain a small business loan, LendingArch draws from a pool of 40 lenders who have been fully vetted allowing you to find the best rate and companies that are the best in Canada. Plus, we also strive to provide our customers with a variety of tools they need to feel empowered to make the right decision. All you have to do is enter in basic information into one loan application. From there, you will instantly receive a ‘love score’ and match up to loans and lenders that you’ll likely be accepted for. Scrolling down lessens the “love score” which increases your chances of not getting approved. The greatest benefit of our platform is it eliminates multiple hits on your credit report. Plus, we’re the only company like this in Canada. Are you ready to get started on applying for a business loan? Call the team at LendingArch today to get started!